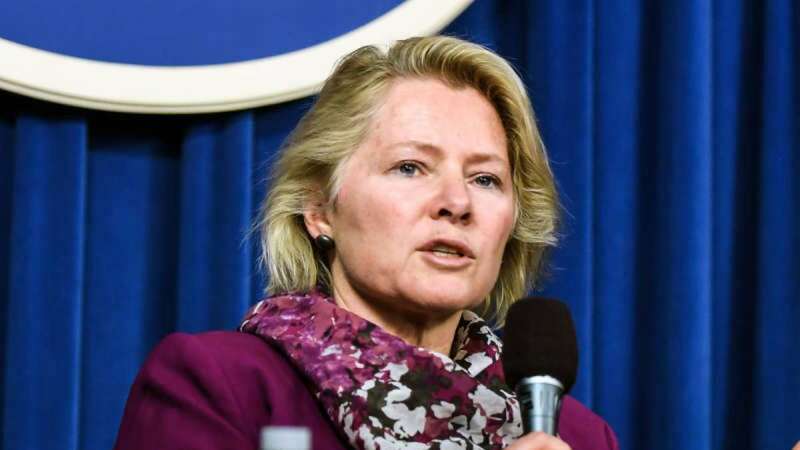 New York : Top US diplomat for South Asia Alice Wells as well as Susan Thornton, the State Department's official in-charge of the East Asia and Pacific affairs, will jointly lead Washington's delegation to the India-US-Japan Trilateral Dialogue in New Delhi this week. The State Department announced on Monday that Wells, who is the Principal Deputy Assistant Secretary for South and Central Asian Affairs, and Thornton, the Acting Assistant Secretary for East Asian and Pacific Affairs, will travel to India on Tuesday. The Trilateral Dialogue is scheduled to take place from Wednesday to Friday. On Friday, Wells will also participate in the India-US Forum hosted by the Ananta Centre and the External Affairs Ministry. Under President Donald Trump's strategic policy for the Indo-Pacific region, Washington is interested in developing close ties between India and Japan as well as Australia as a counter-weight to China. Last week External Affairs Minister Sushma Swaraj visited Japan to co-chair the ninth India-Japan Strategic Dialogue with Japan's Foreign Minister Taro Kono.